IFC's Hit Series Returns to Oregon for an Eighth and Final Season! Former "Saturday Night Live" cast member Fred Armisen and rock 'n' roll guitarist Carrie Brownstein first cracked up audiences as the internet sketch-comedy duo ThunderAnt. That led to this absurdist series set in Portland, Ore., that gently pokes fun at the laid-back Pacific Northwest city and the many eccentric characters that call it home. The smash hit series comes to a close with this 8th and final season. Also features guest stars Nick Kroll (The House), Rashida Jones (Parks and Recreation), Natasha Lyonne (Orange is the New Black), Kumail Nanjiani (The Big Sick), Tracee Ellis Ross (Blackish), Tessa Thompson (Thor : Ragnarok) and many more! 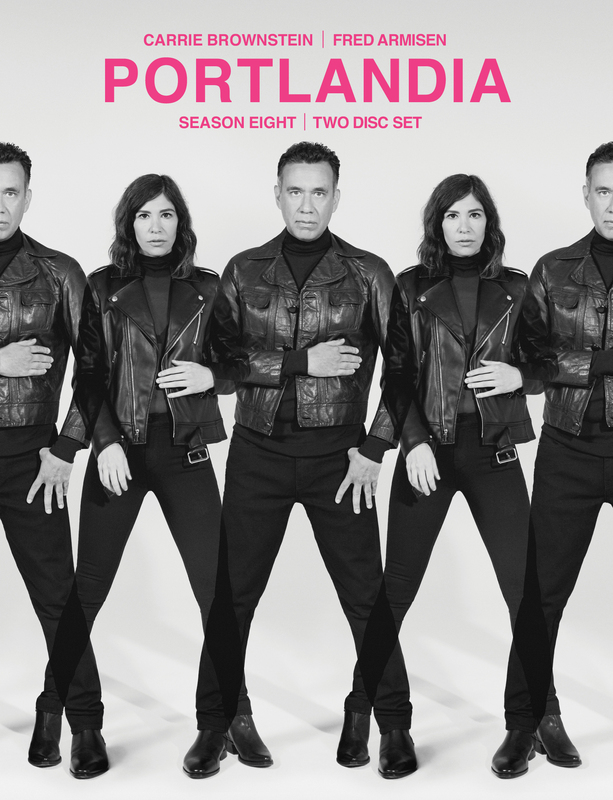 Portlandia discs sell! MVD has shipped a combined total (DVD & Blu-ray) of about 140,000 units of the first three seasons alone.